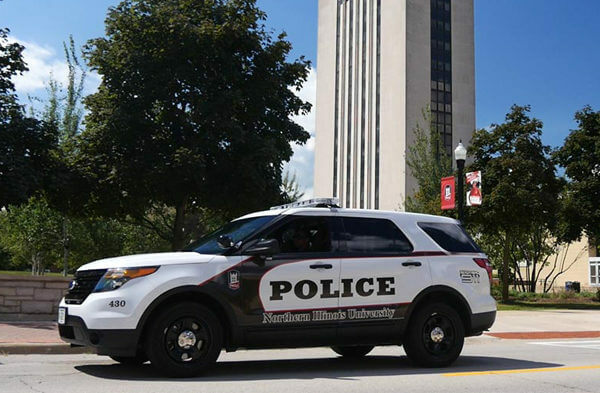 The Holmes Student Center (HSC) is pleased to announce the re-purposing of the former TCF Bank office on the Ground Level to be utilized by the NIU Police Department as a new substation, effective on Monday, March 20. The substation will be staffed regularly by officers who can aide students while planning social events on campus, many of which occur in HSC event spaces. The office will also be staffed by officers in the Community Oriented Policing (COPs) Unit who actively engage the community to maintain safe environments around campus. The office can be reached by calling 815-753-9634, by stopping in during posted office hours or while officers are present. Any other questions about the new office can be directed to HSC Associate Director of Operations and Administration David Long at 815-753-1922 or dlong1@niu.edu or to NIU Police Commander Don Rodman at 815-753-1212 or djrodman@niu.edu.